Well this is actually kind of fitting timing. After the gorgeous weather we had last week, we are back to some cloudy and cool days here in Vancouver. 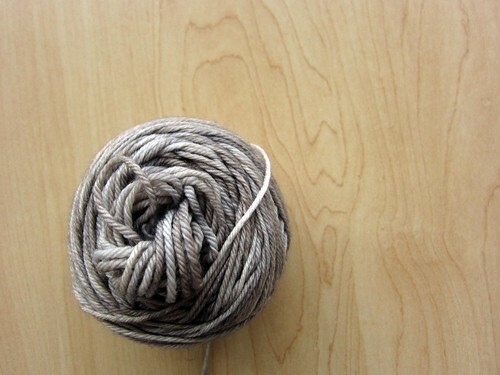 I was in the shop a few weeks back and my eye was immediately drawn to this quiet, unassuming skein of grey yarn. 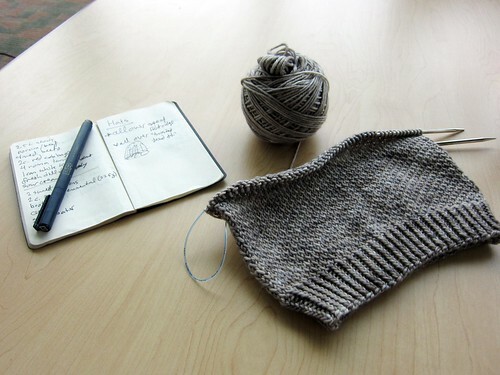 Now, I know that shades upon shades of grey may not be to everyone’s taste, but I saw a certain elegance in the yarn and the possibly for some good, satisfying texture. And that’s how most of my projects get started. A vague idea (I want a soft, subtle all-over textured something) turns into some mostly illegible chicken scratch in my notebook, and I’m off to the races. I chose to work a hat because I only had the one skein of yarn, and hats are basically grown-up swatches, which makes them way less intimidating than an entire project. A little bit of twisted rib, and then a nice swath of what I’m calling a twisted seed stitch. Gosh this has such a fantastic texture. 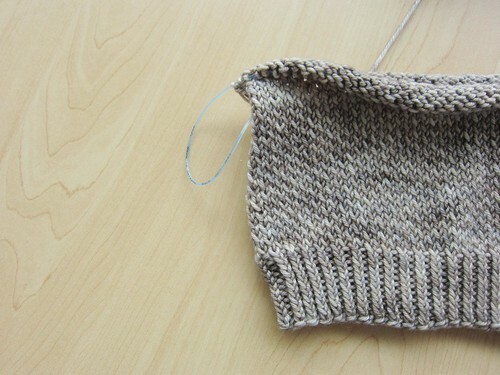 It almost looks a bit sloppy at first, and then if you look closer and see that it’s not just straight stockinette, the colours and tones in the yarn really start to pop. 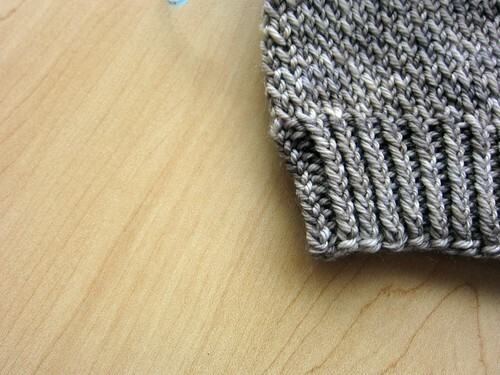 Now if you’ll excuse me, I have to knit a grey hat on a grey day. It also kind of makes me think of a very grey wintery beach day. I love it. Yarn is Madelinetosh Tosh Dk in Whiskers. Pattern is… probably forthcoming, but currently just being designed as I go. This entry was posted on Wednesday, April 3rd, 2013 at 11:06 am	and is filed under Uncategorized. You can follow any responses to this entry through the RSS 2.0 feed. Both comments and pings are currently closed. 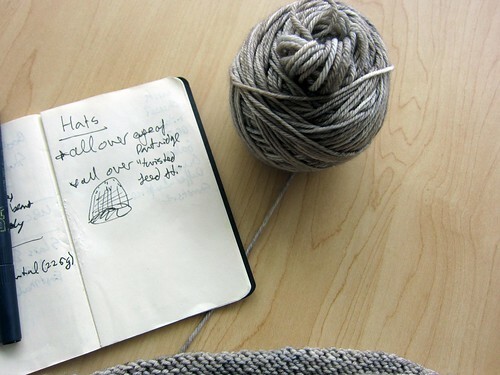 And no matter how grey it is outside, I still love knitting with it. That Whiskers colourway is fantastic.